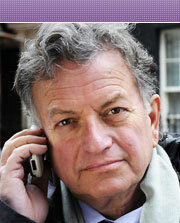 Lowell Bergman is a producer/correspondent for FRONTLINE. Bergman is also the Reva and David Logan Distinguished Professor of Investigative Reporting at the Graduate School of Journalism at the University of California at Berkeley, where he has taught a seminar dedicated to investigative reporting for more than 15 years. Bergman's career spans nearly four decades, beginning the late 1960s when he worked for a weekly newspaper in San Diego, as a freelancer for Ramparts Magazine and then as an editor of Rolling Stone. In 1976, he was part of a group of reporters who investigated the assassination of Don Bolles, a reporter for The Arizona Republic, and in 1977 he was a co-founder of the Center for Investigative Reporting. In 1983, Bergman joined CBS News as a producer for the weekly news magazine 60 Minutes, where over the course of 14 years he produced more than 50 stories on subjects ranging from organized crime, international arms and drug trafficking to terrorism and corporate crime. The story of his investigation of the tobacco industry for 60 Minutes was chronicled in the Academy Award-nominated feature film The Insider. After leaving CBS News as its senior investigative producer, he forged an alliance between The New York Times and FRONTLINE. Stories as part of this alliance included investigations into: corruption in Mexico [Murder, Money and Mexico (1998)]; the East Africa embassy bombings [Hunting bin Laden (original broadcast 1999; updated Sept. 13, 2001)]; the California energy crisis and the role of Enron [Blackout (2001)]; a series on the roots of 9/11 [Looking for Answers (2001); Gunning for Saddam (2001); Saudi Time Bomb? (2001)]; and subsequent stories on the terrorist threat inside the United States and Europe [The Enemy Within (2006), Al Qaeda's New Front (2005) and Chasing the Sleeper Cell (2003)]. Working with his students, The New York Times and FRONTLINE, Bergman also reported an award-winning investigation of the credit card business [The Secret History of the Credit Card (2004)]. He has received honors in both print and broadcasting, including the Pulitzer Prize for Public Service, awarded to The New York Times in 2004 for A Dangerous Business, which detailed a record of egregious worker safety violations coupled with the systematic violation of environmental laws in the iron sewer and water pipe industry. That story, which appeared as both a print series and a documentary, is the only winner of the Pulitzer Prize to also be acknowledged with every major award in broadcasting. The recipient of numerous Emmys, Bergman, as a reporter and producer, has been honored with five Alfred I. duPont-Columbia University Silver and Golden Batons, three Peabodys, a George Polk Award, a Sidney Hillman award for labor reporting and the James Madison Freedom of Information Award for Career Achievement from the Society of Professional Journalists. Bergman graduated with honors from the University of Wisconsin-Madison in 1966 and was a graduate fellow in philosophy at the University of California, San Diego until 1970. Bergman has lived for the last 35 years in Berkeley, Calif. He is married to Sharon Tiller, a senior producer with FRONTLINE/World. The couple has five children and four grandchildren.